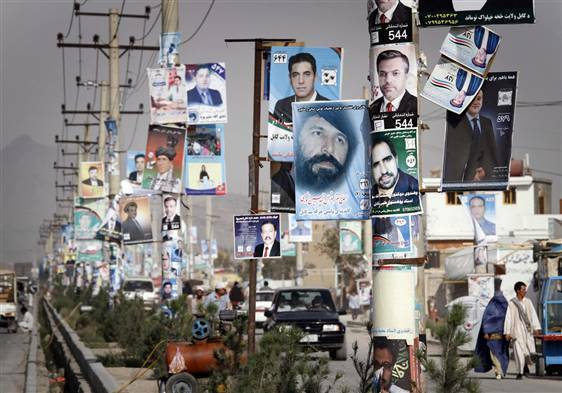 Alissa Rubin writes in today’s New York Times that 1.3 million votes from Afghanistan’s parliamentary elections have been disqualified. The number is significant. But the fact that the Election Commission has carefully weeded out these fraudulent votes is even more significant, both to this vote and to the future of democracy in Afghanistan. Despite rampant fraud in the parliamentary elections last month, whose preliminary results were announced Wednesday, the Afghan Independent Election Commission appears to have tried to do an honest job of counting the ballots, an effort that was lauded by the United Nations and even by some losing candidates. Often, people are quick to jump at conclusions when they read about the sheer magnitude of the fraud. They ignore the context of this vote: an on going war that influences every aspect of the vote, the voter, and the candidate. They also forget that voting and nationwide elections is a new practice in Afghanistan. The preventative measures that have been fine-tuned over long years in the west do not even exist in Afghanistan. What exists is warlords and powerful men who have always had their way, through their gun. Fraud, as a result, is only natural. This entry was posted on Thursday, October 21st, 2010 at 4:49 am	and tagged with Afghan parliamentary, Afghan Votes thrown out, Afghanistan elections, Afghanistan fraud, Afghnaistan vote, Kabul, Karzai, Manawi, NATO, UN and posted in News and Politics. You can follow any responses to this entry through the RSS 2.0 feed. Good one. Some weirdos have made it to the parliaments. But surely it could have been worse.